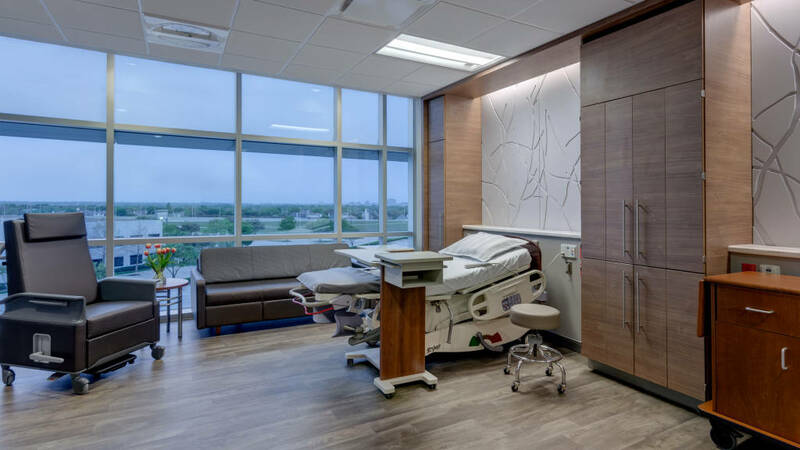 Methodist Richardson Medical Center, which recently opened a new location in suburban Dallas, has innovations throughout its four floors, including new ways of using space to support patients , family members and visitors in waiting spaces and patient rooms. 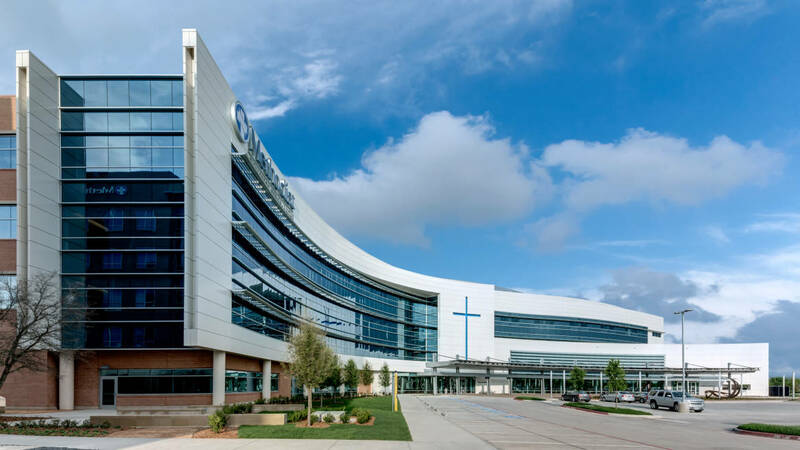 Methodist Richardson Medical Center, which recently opened a new location in suburban Dallas, has innovations throughout its four floors, including new ways of using space to support patients, family members and visitors. These new spaces fulfill a longtime goal for Methodist Richardson president, Ken Hutchenrider, FACHE. After 25 years in healthcare leadership, he’d seen enough of the traditional, uninspiring waiting rooms found in most hospitals. 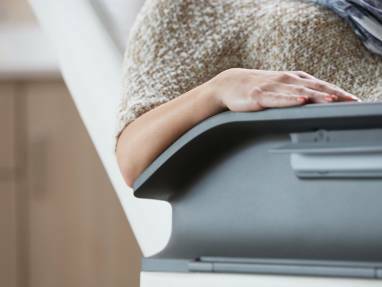 “I had always noticed throughout my entire career that waiting rooms would get very jumbled. They didn’t lay out well. People wanted to use them for different functions. One of the things that we identified early on was providing non-traditional waiting rooms,” explains Hutchenrider. 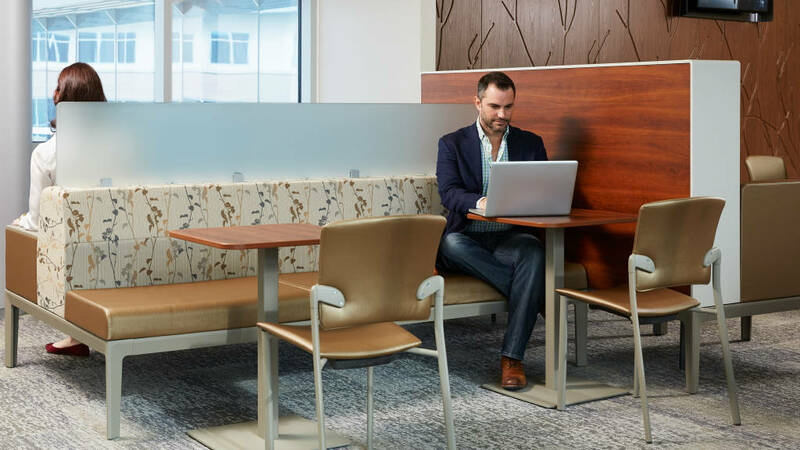 The hospital chose Steelcase’s Regard system to solve the challenges of today’s waiting places, where people sit isolated, disconnected, uncomfortable and unproductive. Providing the right blend of solutions, Regard helps make these moments more meaningful by offering greater comfort, connection and privacy. 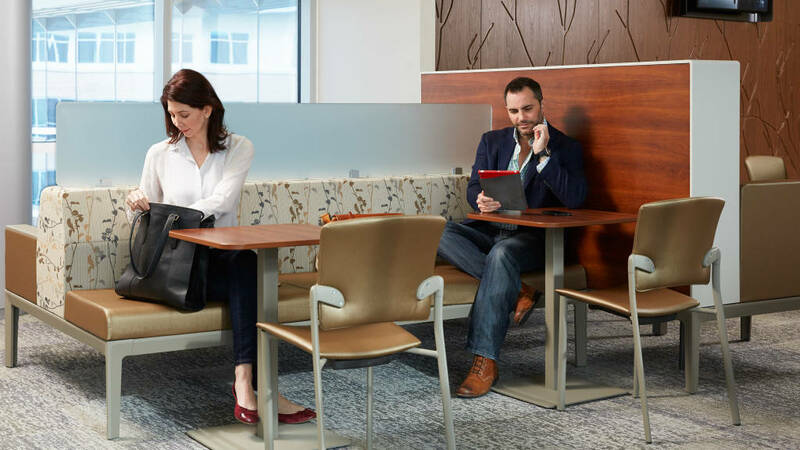 Hospital leadership, along with Perkins and Will Architects, Steelcase and its dealer BKM, worked together to create the new waiting areas, and traveled to Steelcase global headquarters to discuss research and insights. “When we first went up to Grand Rapids, I knew sort of what we wanted to do, but I didn’t think there was any way that we could make that happen. 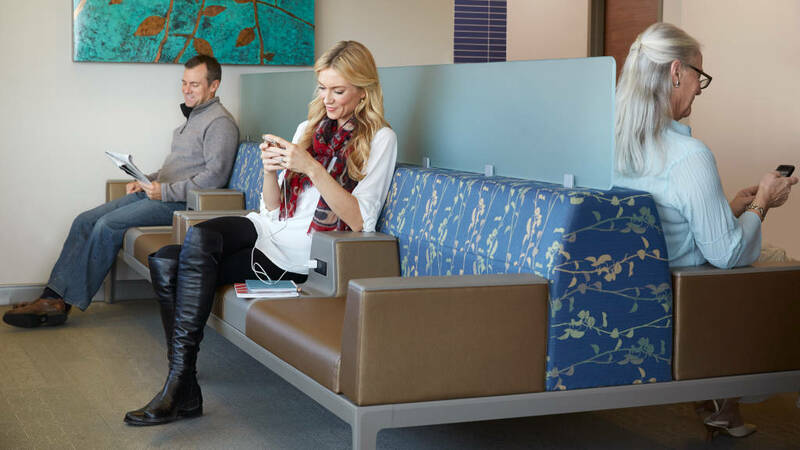 Steelcase brought their knowledge base, all of their intelligence, and we came together to create this waiting room that by far has turned out to be one of the best features in this new hospital,” says Hutchenrider. The complete planning and design process for the hospital, including building a pilot space to test new hospital spaces, took two years. The result was a new approach to waiting spaces where people can do much more than just wait. 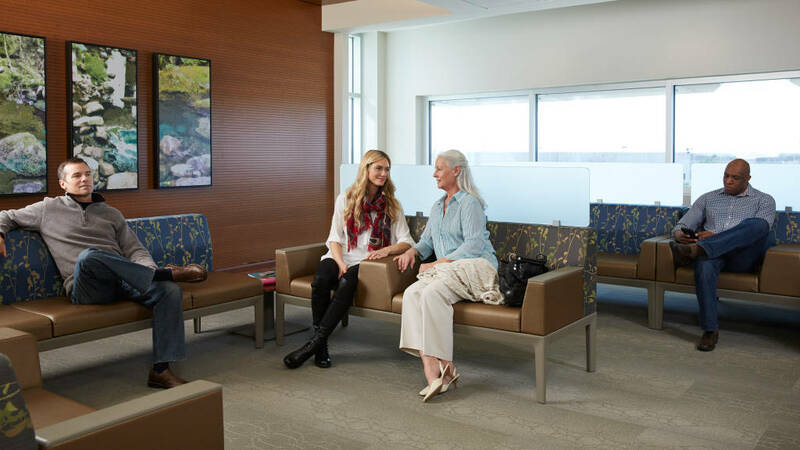 All Methodist Richardson waiting areas are comprised of three zones, each supporting different activities. The first zone offers lounge chairs or a sofa, and a TV. “It’s a more traditional zone where people take a quick break,” says Hutchenrider. During times of transition, Regard helps everyone make the best use of their valuable time. It fosters connections between people and technology. It provides choice and control over privacy and posture. Regard helps make waiting more productive and enjoyable for patients and their family members. The third zone is a quiet space with comfortable lounge furniture. 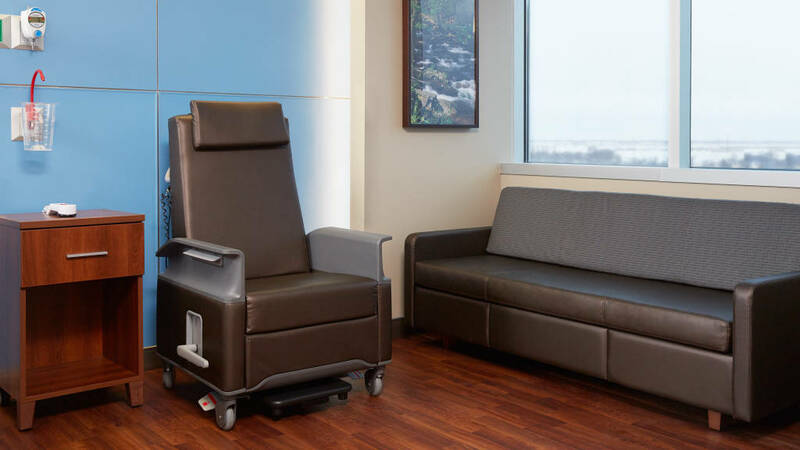 “Someone who needs to conduct business while a loved one’s in the hospital can sit down in a very quiet area and conduct business.” All of the waiting areas are outfitted with the Regard modular lounge system. “I’ve had business people tell me, ‘I feel like I haven’t left work, because I can bring my laptop in. I can plug in.’ We have wireless that they can tap into it for free, and they can conduct all of their business just like they could at their office or their home. And I’ve had families say to me, ‘It’s so nice because we can have our children watching a kids’ TV program,’ while they’re back resting or talking about some of the decisions you have to make when you have a loved one in a hospital,” says Hutchenrider. Since people naturally seek separation from strangers and closeness to family members while they wait, Regard offers dividers, screens and planters to create a sense of privacy and distance. “Going into this project, waiting rooms were not something we were focusing on or we thought would be a feature, and that would receive as much praise, but it’s turned out to be such a major element in this new hospital. Our new waiting rooms are by far one of the best features of our new hospital,” he says. Methodist Richardson’s patient rooms employ a zone approach, too. The first space inside the room is the zone for doctors, nurses and other caregivers. The patient zone is around the bed and includes an Empath recliner with comforting heat and massage. Further into the room, past the patient’s bed, is the family zone, including a couch that transforms into a comfortable bed. “The family can see where the nurses, doctors and others work. The open real estate by the big window naturally draws families to it: they know they’re not in the way and they’re there for the patient. The room lends itself to everyone playing their role,” says Irene Strejc, BSN, chief nursing officer. 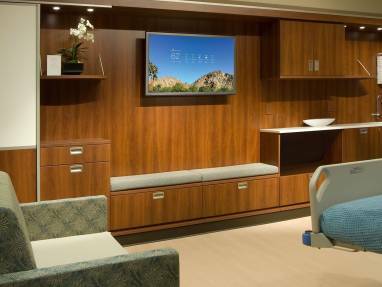 Methodist Richardson chose Steelcase’s Empath recliner and Sieste lounge to create a comfortable family zone that gives family members a place to relax and sleep if necessary. The Empath recliner includes an easy-to-activate central locking system and arms that are easy to grip and supportive during patient moves. Arms flip down for safer transfers between the bed and chair. Family members may also use the recliner when the patient isn’t occupying it. “The family zone is a place that invites the family. They have a place to relax, a sofa to sleep in if they need to. They can participate in the patient’s care and we’re not working around them. It helps us deliver care without interruption,” says Strejc. Satisfaction surveys show that patients are delighted with the new waiting areas and patient rooms. “We get comments back from patients that say, ‘My family wanted to make sure you knew that we are so thrilled with not only the patient care but also the care you provided to the families,'” says Hutchenrider.